How much does it cost to run a referral scheme? Each price is based on the dynamics of your business. To get you up and running, with the benefit of our input, we charge a setup fee. From then on you pay a commission on the first order of referred customers. This payment model means you only pay when we deliver new customers to your business and we are incentivised to make your programme as successful as possible. To give you a quote which works for you, we need to understand a little about your business. This will help us to build out a business case so that we can forecast how much referral will deliver for you. Contact us to find out more. What development resource do I need to launch a referral program? Some marketing teams can do this themselves if they have a tag container, otherwise it is something your developer should be able to do rapidly, and means that on average you can be driving referral sales in a matter of weeks! The official Mention Me record is just 7 hours from kick-off to live referral scheme! Does Mention Me integrate with eCommerce shopping carts? 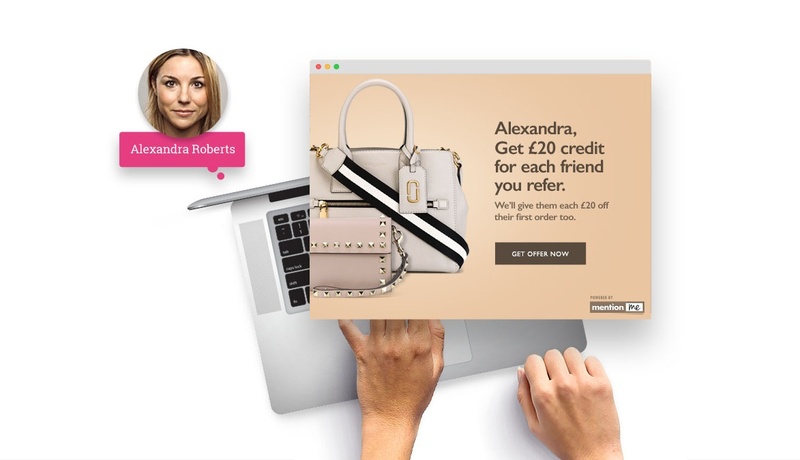 If your site uses an eCommerce platform, such as Shopify, to process your orders, then the Mention Me referral platform can easily be integrated. Rather than integrating via an App, you will just need to add our tags. Many of our clients have already integrated Mention Me with eCommerce solutions such as Magento, Shopify, Demandware and Hybris. A referral programme is a way to facilitate an existing customer of yours (the referrer) to introduce your brand to their friend (the referee) by offering them an incentive. When they in turn become a customer, you can reward the referrer as a thank you for the introduction. As different customers like to to communicate in different ways, a successful referral programme will offer a wide range of ways to share the offer. What if I don't yet have a website? Is it too early to get in touch? In a nice way, yes. Our system and active style of account management works best for businesses which already have a decent order volume. Once you are up and running and generating a reasonable level of business, then get in touch to see if we can help you. What are the best referral rewards? Like all aspects of marketing, your referral offer, and how you promote it, can make or break your referral scheme. However, that doesn’t mean that you have to get it right first time! Our unique AB testing capability by cohort means you can easily test and learn to optimise your referral offer and find what is most compelling for your customers. Having said that, you should ensure that what you offer is a little bit special, otherwise your customers will see little benefit in sharing. For example, if you regularly run 10% off promotions, then offering 10% as a referral offer is unlikely to drive customers to share this with their friends. Regular testing can result in referrals growing to be as much as 30% of your new customer acquisition. You can download our guide to AB testing for more ideas. How is the customer incentive fulfilled? Coupon codes. This is the most frequently used method of fulfilling a reward. The customer is simply provided with a unique code and this can be applied at checkout. It also enables auto-coupon functionality whereby the coupon is automatically applied to the basket if the offer is shared by name or via a link. Coupon links. Some clients use links which drive customer to their site where their account has credit applied. Link to a dedicated landing page. Some clients build a dedicated landing page where the offer is promoted, and we can drive customer to that page to place their order. Third party vouchers - we can also fulfill third party voucher rewards, such as Amazon, M&S and many other retailers you might like to work with. If you require a different method of fulfilment just contact us and the chances are that we’ll be able to help. Do I need to provide single use coupon/voucher codes? Single use codes are the most suitable for refer-a-friend but if you are not able to provides these due to limitations of your system or your shopping cart provider let us know and we can suggest some alternatives. How can I be sure that we are not rewarding existing customers? How do we monitor referrals for fraud? We make it easy for our clients to monitor use of referrals to minimise any fraudulent reward claims. We will provide you with advice and the tools to help you manage any fraud that does arise. What sharing methods work best for refer-a-friend? We offer 14 different ways for your customer to share your brand. Which ones work best depends very much on the profile of your customers. We’ll work with you to identify the methods best suited to offer at the start of your programme. Over time you might want to test something new. Which sharing methods you choose and how you display them are customisable for desktop and separately for mobile and fully AB testable. We offer the ability for your customer to share the the referral via email and personalised link, as well as a number of popular social channels, including Facebook, Twitter, WhatsApp, Facebook Messenger, LinkedIn, Pinterest, vKontakte (great for brands with a presence in Russia), Weibo, Viber & LINE (great for brands with a strong Asian presence). We are constantly adding to the list as new social channels develop. In addition we offer the unique option of “share by name”. 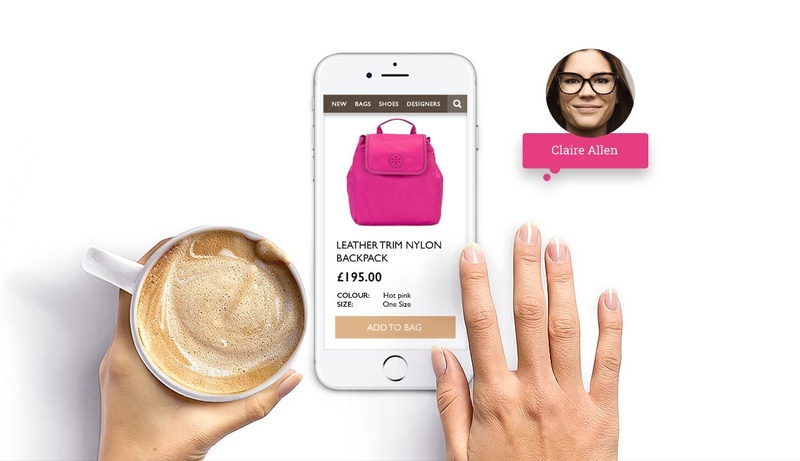 This enables a customer to tell their friends to “just mention my name”. The referee can then just enter their friend’s name in the checkout. This facilitates word-of-mouth, a much more natural form of sharing in real life conversations. How can Mention Me help me capture word-of-mouth? 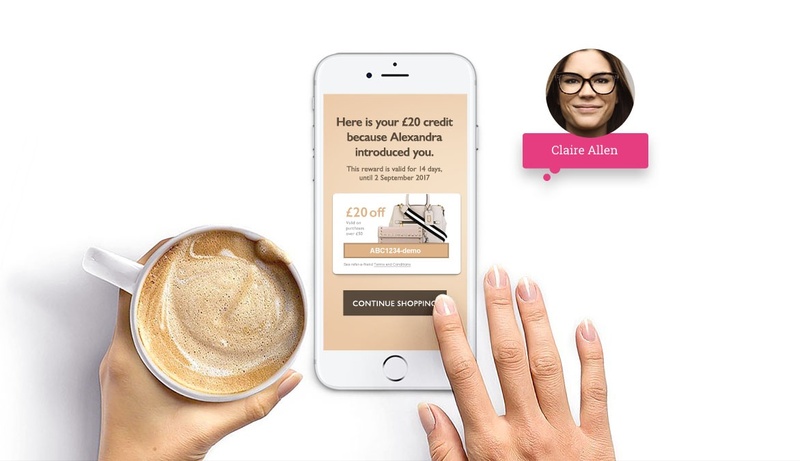 Our unique “share by name” capability enables customers to share brands naturally as part of a conversation. Share by name drives a further 30-40% more referrals than enabling the digital channels on their own. You can read more about it in our Word of Mouth blog blog post. How can I measure how successful my referral program is? As a client you have access to the Mention Me Dashboard. Here you will find information on all aspects of your scheme so you can make informed decisions about your referral strategy. What would my own customer service team need to do? Typically, where a client runs a referral scheme utilising a coupon code/link mechanism, their customer service only gets involved in a limited number of processes. Fulfilment of coupon codes takes place automatically , but there will be some cases where a customer enquires about receiving their reward. In these instances the customer service team have access to a special customer administration system, where they can check on the status of purchases and rewards. Do we need design resource for our program? Every element of the journey through the referral process can be tailored to your brand. We can work with your designer if you have the resources, but it isn’t always necessary. Our client success team will work with you to get your programme up and running, you’ll need to provide them with a logo, font, brand colours and some imagery that reflects your brand. How much support does Mention Me provide its clients? As part of the Mention Me service, you will be partnered with a Client Success Manager. They will ensure that your referral programme launches swiftly and professionally to achieve your referral goals. Once your programme is live they will continue to support you to make the best use of the AB testing capabilities and optimise your campaign. You will receive regular performance reviews and best practise sharing, which are a great way to come up with new ideas to maximise your new customers from referral. Does Mention Me support referrals in all languages? With a fully flexible CMS, our platform can support refer-a-friend in any language. We currently run referral programmes in 13 languages. If you require a referral programme in a language we don't currently support, we will work with you to try to implement it. What currencies does Mention Me support? Mention Me currently supports a number of different currencies. If you use a currency we don't currently support, we are sure we can implement it. Does Mention Me work with International clients? We work with a number of International clients who operate their referral programme in different languages and currencies. Can I have a referral programme if my website is non-transactional? If you have a non-transactional website but are interested in referrals as a marketing channel, get in touch. We can talk you through the options.